Follow Anna from Keegan's Chronicles on her own adventure! Seventeen-year-old Anna is an unskilled, natural witch still seeking a way to access her magick. When she moves to Seattle for college, she encounters two powerful witches who need her as much as she needs them. For the first time, Anna believes she's found someone who can help her explore her own magick. Her dream quickly turns into a nightmare. Creatures of the Light have gone missing, and the witches she admires so well are a part of the mystery. Before she knows it, Anna is knee deep in the disappearances and trying to forge a relationship with a certain soldier named Tommy, all while trying to find her way. Will she have time to save the creatures of the light or will she become the next victim? I would like to thank the author Julia Crane for giving me this book. I loved all 3 of Keegan's Chronicles and was so happy that Julia told me that she had done a spin off of Anna. Anna was Keegan's best friend and just happened to be a natural witch. Best part of the book: I know Anna is the main point of the book but she really is the best part of the book. I loved to see herself gain confidence in her abilities as a witch. At first, she did not have any confidence in herself. In fact it was kind of sad to read because she was kind of putting herself down. One of my favorite parts was with her and Tommy. Another thing that I love is that Anna cares very deeply for those that are disappearing and she does not even know them. Not so great: I wish there was a little bit more of Tommy and Anna scenes. I understood that the content of the story was not their personal relationship but it was nice when they were together. 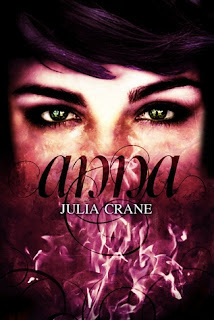 I really enjoyed this book and look forward to reading more by Julia Crane.